There are many places you can buy gifts for the miniature aficionado but I would like to highlight three of my favorite. These are unsolicited recommendations and while I know the owners of my first two sources, neither of them asked for this endorsement. I have highlighted Darren Scala’s miniature shop in other blogs so here I want to recommend a wonderful and unique gift idea that he offers. 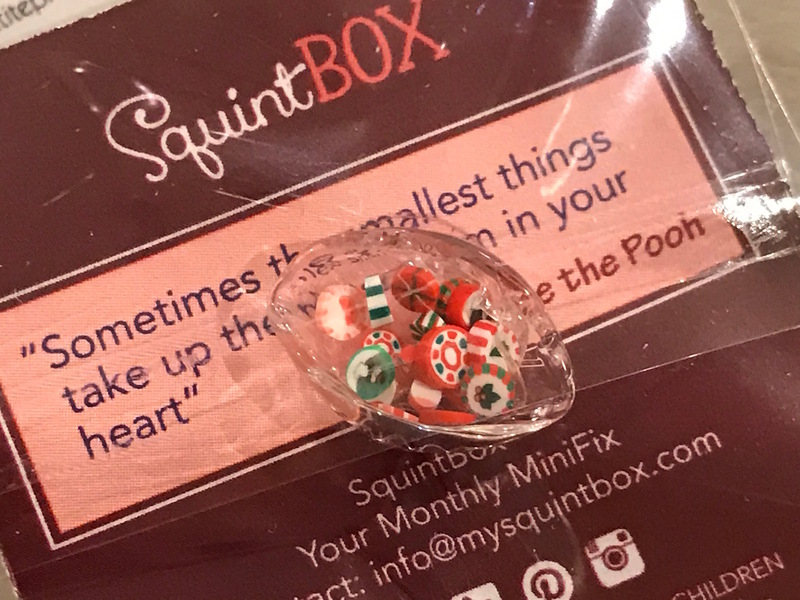 It is called SquintBOX and it is a subscription box of miniatures that arrive on a monthly basis. They come delightfully wrapped and are a pleasure to open. Each month is themed and the surprise element of receiving these handmade will please any miniaturist. 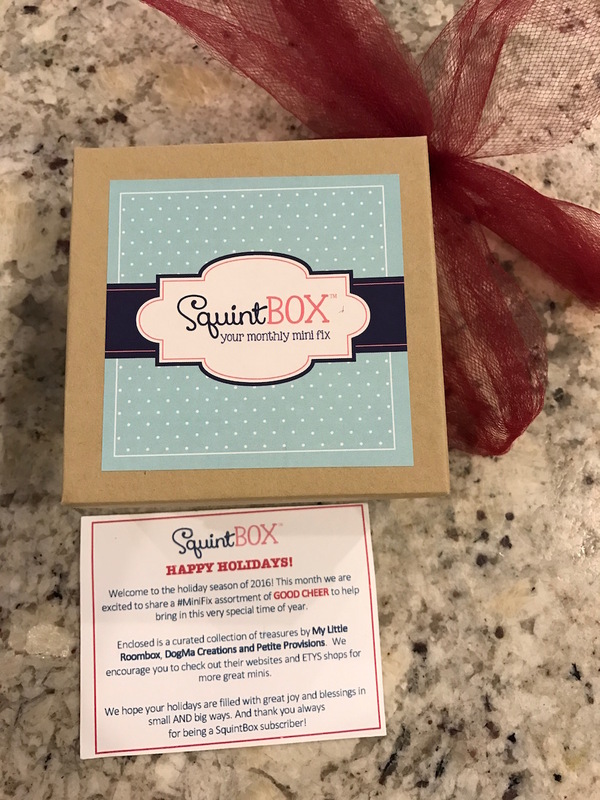 See more details at the SquintBOX site. 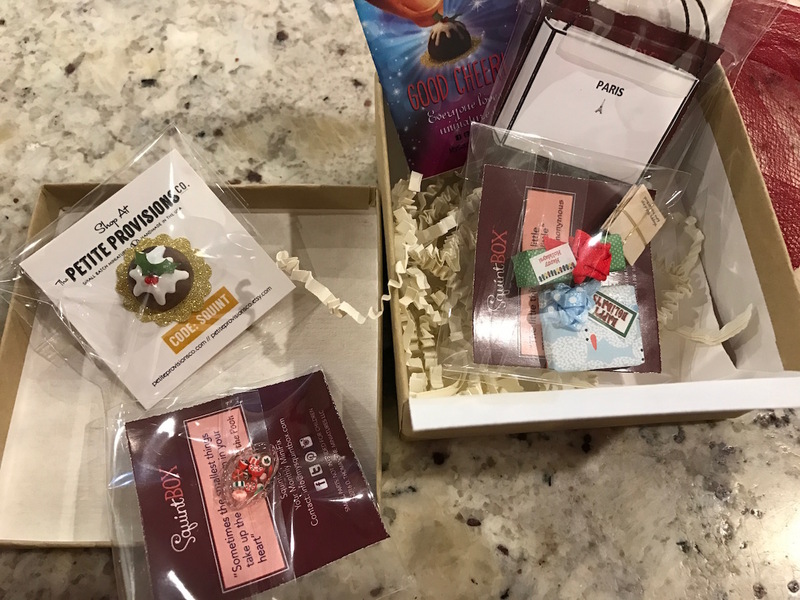 Some images from this month’s holiday box are below. If your favorite miniaturist is also a miniature gardener, the shop called Two Green Thumbs Miniature Garden Center has the perfect gifts. I have also featured Janit Calvo’s shop before and Janit is the author of the best book on miniature gardening. She not only has excellent plants but her accessories are perfectly scaled and her emails and website are a vital source of mini gardening ideas. Micro-Mark calls itself the “small tool specialist” and there is no doubt that this is the best source of tools for the miniaturist. 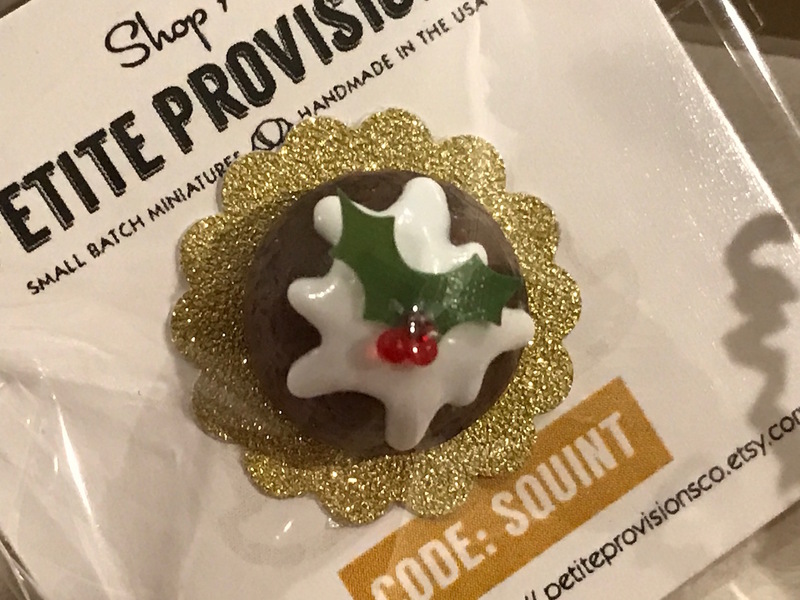 Last year I received one of their gift certificates as one of my holiday presents and it was wonderful shopping on the site. You can look at their catalog online but I recommend getting a print copy sent as well: fun to browse.